Those of us who care to look into history even the slightest can see that both devout Christian laymen and Christian leaders have been make scientific strides for almost two millennia. Some examples will be sited below. In spite of these facts, I often hear claims from secularists along the lines of "Christians may donate to [insert medical cause here], but an atheist is the one who finds the cure to [insert modern medical issue here]." And, similarly, but not the same: "Medieval Christians are responsible for a lack of scientific advancement in that era." So, if people like Gregor Mendel (https://www.google.com/#q=Gregor+Mendel) and Georges Lemaitre (https://en.wikipedia.org/wiki/Georges_Lema%C3%AEtre) were doing scientific work, why is there this huge misconception that Christianity was against and/or is currently against Scientific discovery? Specifically, my question is, which recent (last 300 years or so) writings can be attributed to creating and perpetuating this divide in spite of historical evidence which supports that devoted Christians did important scientific work in their day, and how have they been so convincing for the general public (on both sides) in spite of all of this readily-available historical evidence? Note: Perhaps the second part of my question is more opinion-based, but I am interested in some speculation as to why these writings would have such a powerful effect, whether from S.E. users or from another source. After Darwin, it became much easier to inflate the conflict between the Christian and secular worldviews since the secularists could "explain" away life without relying on God. Christians in those times felt just as threatened as those who convicted Galileo of heresay. Look at any modern astronomy text to see this taken to its ultimate absurdity - that the Big Bang started itself. They have to overlook a big contradiction born of the laws of physics (an external force is required to change a system in equilibrium). Fortunately, the archaeological evidence of the past hundred years and the biological evidence since DNA was discovered has disproved macro-evolution (that one species can evolve into another). This has finally begun to turn the tide against evolution but it is still taught in classrooms and promoted by secularists as fact. After the Garden of Eden fiasco, truly evolution has to be Satan's biggest win. Which brings me to the bottom line answer to the question of "Why?". The problem is not that the secularists are stupid or are ignoring the compatibility of the Bible, Christianity, and science. The problem is that they are blind. The Bible points this out many, many times. Man's soul was corrupted by sin because he wanted to do things his way and not God's way. Until that is fixed, there will always be misconceptions about Christianity by those who oppose it. Your question is not simple and so my answer is not short. I hope it added something positive to the discussion. I think a lot of it has to do directly with Darwinian evolutionary commitments around the creation of life on earth and the contrasting commitments of the "young earth" creationist view, and the way the conflict between those two positions became a key way of framing identity for some of the most vocal and visible Christians (and some of the most vocal and visible scientists) over the course of the last century. In particular, I would look at the books of Richard Dawkins as some of the most influential recent writings that promote the notion that Christianity and science are incompatible. Personally, however, I think the current estrangement between Christian and scientific belief is a historical anomaly. Even now, I would say the polarization is much less than even twenty years ago, and continuing to lessen. All truth is compatible with itself. No religion on this earth has all the answers, neither does science. Otherwise we would be as God, having all knowledge. But as you come closer to pure truth you will realize that it has no distinctions such as science or religion. They are just the means of discovering truth. (They are very good too). Truth is truth and is not divisible unto itself. I hope this helps and makes sense, because it is true. If you want a book about this topic, check out the Dallas Willard book: Knowing Christ Today, especially Chapter 3: How Moral Knowledge Disappeared. A very short answer is that when science started revealing mistaken assumptions in Christian theology, the Christians of the time ended up ceding the realm of knowledge and drawing a false distinction between knowledge and faith. 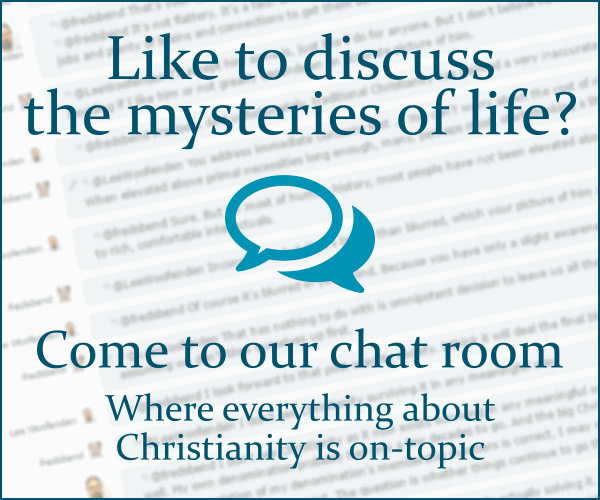 For a video answer, I LOVE Ask the Smart Man Q&A between Dallas Willard and John Ortberg. There are bookmarks to topics w/in the two sessions of the Q&A session. Of particular interest are the questions labeled Knowledge and Science and Faith. Not the answer you're looking for? Browse other questions tagged history science division or ask your own question. Why are there different divisions of the Ten Commandments?